Booze is a billion dollar business. That seems obvious, when one takes a look at the net worths of the people who control the biggest names in the liquor industry. Chances are, the next time you order a beer, a vodka tonic, or a glass of Chardonnay, you're lining the pockets of one of the world's richest people. From enormous conglomerates such as Anheuser-Busch InBev (the world's largest brewer), to more artisan brands like California's Justin wines, these billionaires are making at least part of their vast fortunes off the drinking habits of the world. Italy's Rosa Anna Magno Garavoglia can serve you up some Skyy Vodka, Wild Turkey, Campari, or Frangelico. 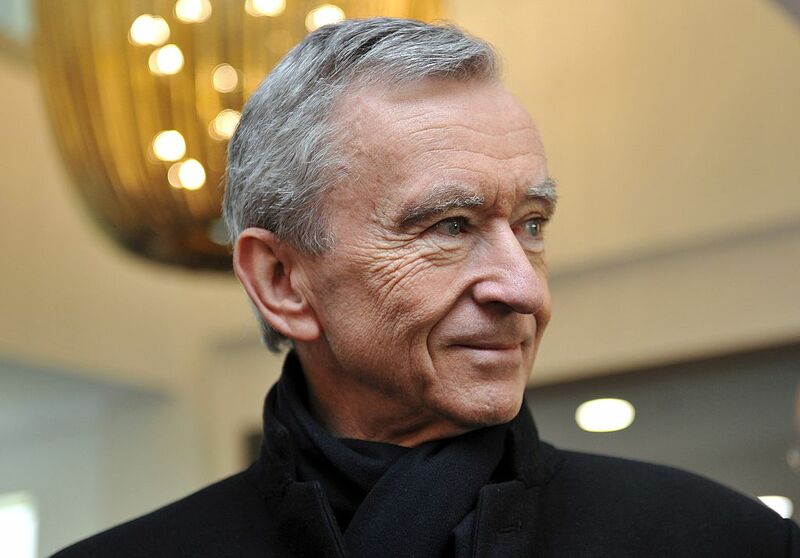 Bernard Arnault, who specializes in luxury goods, will pop the cork on some bubbly from Veuve Clicquot and Moet & Chandon. Bostonian Jim Koch has made a cool billion from his little beer that could. A Getty heir is in the wine business with the Lieutenant Governor of California. And finally, a presidential candidate diversifies his real estate holdings with a little vineyard. These are just some of the people behind your favorite alcoholic drinks. Let's take a look at their net worths.